Gaymes fell ill due to a blood clot and hemorrhaging in his head and had to be flown to Trinidad for medical treatment. 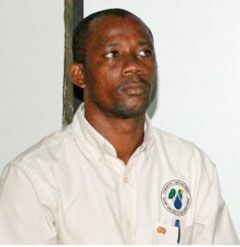 Gaymes, who has been involved in Taekwondo for more than 20 years, is the father of three children and a Forestry Officer in the Ministry of Agriculture. One of the fundraising events planned is a walk, scheduled to take place on Monday, March 14, 2011. There is also a Scotia Bank account that has been set up to receive any donations towards his cause. The account number is 5068197.